Scott E: At The Ace rooftop bar. A drink called the Mi Corazon. Fresno pepper infused cachaca, coconut, lime, nutmeg, served in a chilled metal cup. Lisa B: Drinking shots of Russian Vodka with friends in St. Petersburg! We didn’t do it for long! It was the last day of our two-day tour and we begged our guide and driver to find us a place for that “Bucket List” experience. She found us a very nice restaurant and the servers and kitchen staff were so sweet to let us barge in and just do shots. It was a great experience! I highly recommend it! Just wish we could have stayed longer and tried some of their food. The restaurant looked very upscale. All the staff was young and gorgeous, polite and perfectly dressed. The food looked awesome! Hope G: A 4-course Scotch dinner. Who knew the differences in Highland and Lowland Scotches were so pronounced and paired so well with oysters, game and beef. I did not expect to find a favorite in Dalwhinnie 25yr! 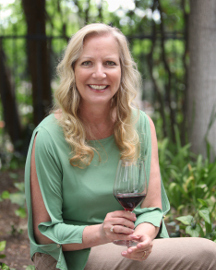 Barbara B: I simply liked discovering wines from areas under-represented here like the Xianomavro wines of the Naoussa region of Greece or the Slovenian wines fermented in ancient Amphorae…too cool and now planning wine visits to both countries! Wayne L: Chateau Montelena in Napa. Great venue and great wines. Kelly B: Lunch at the Louis Roederer Champagne Family Home with Cristal, and other assorted favorite along with a 3 star Michelin Chef Prepared Meal and eating off Napoleon’s own gold eating utensils… or there is was the Zurich Wine Expo…nothing like drinking wine on a boat! Theresa H: My 25th wedding anniversary trip to Napa. The castle hands down. Temecula was very enjoyable too. My first year in California has introduced me to so much fun… Oh oh wine tasting at The Jelly Belly Factory as well. That is near Napa. Lori R: Tequila at Solita. Michelle T: We took our 10 and 12 year olds to Napa for the first time and took a winery tour at Frog’s Leap. Yep, we are those parents. 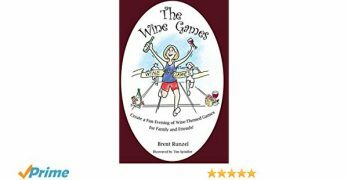 Jane S: Watching my husband sipping a glass or two or three of his special hand picked red wine every night. Orlando R: Making shot glasses out of watermelon then freezing them with liquid nitrogen, and filling them with a habanero flavored vodka. Ron C: Traveling to Willamette Valley in Oregon, staying in the Archery Summit winery guest house! Touring the winery and having an incredible experience with…great wine, great food and great friends! Cathy M: Geeez, I was just happy to find original copper Moscow Mule mugs my parents had from the 1950s. Steve makes Alcatraz cocktails in them. You substitute vodka for tequila. Melissa L: I must say that the adventures in Absinthe have been most enjoyable and filled with surprises. We evaluated 200 year old samples alongside the modern – like a liquid history lesson. Delicious. 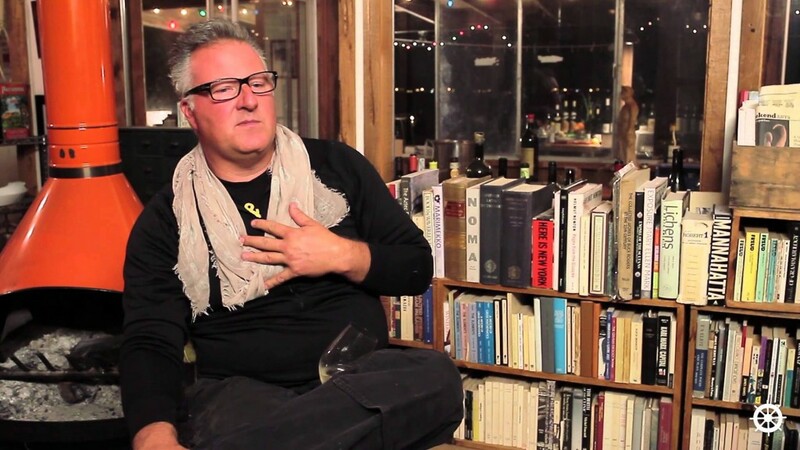 Michael D: My favorite wine experience was during our trip to Italy last spring. The highlights for me were the driving tour through the Florence countryside in a classic Fiat 500 that ended with a wine tasting in a 15th century villa and drinking with the locals at the Cantina Do Mori in Venice… My favorite sprits experience was going to Bourbon and Branch in San Francisco for my 50th birthday. You have to love a place that won’t even ask you if you have a reservation unless you know the password and whose house rules include “Don’t even think of asking for a Cosmo”! Robin B: Had an amazing time with my partner-in-crime, Robin A., up in Paso Robles last August at one of Tobin James Winery’s annual barbeques. Got to taste a great array of wines (actually, it was more like glug it down to our heart’s content), eat fantastic food from local top chefs and listen to live music under the stars. Fun evening, and I will be going back. Scott H: Finally getting 2 bottles of Alban Vineyards Syrah after being on the waiting list for 2 1/2 years. We opened one. It was worth the wait. Dale G: Stagecoach wine tours in Solvang and Santa Barbara; day trip to winery in Lancaster surprisingly good. Still want to go to Temecula. Did Napa years ago. Chris C: Hands down, getting married in a Vineyard in Temecula at Ponte in March, to my beautiful wife Jennie C. Boom!! YESTERDAY: We made some great progress for Wines of South Africa in Los Angeles …. honestly, probably not the first place Californians think about for great wine…. but should be included in a very short list!!! For the most part; restaurants in LA ignore the opportunity to showcase the great value South Africa can create… A $10 glass of South African wine can be amazing… while we would struggle to find anything close in California that would touch this platitude. This should be a wake up call to the Sommelier but they were sadly unmoved and for the most part didn’t attend despite our huge effort to invite (heartbreaking) … we are honest in our efforts and assessments and see the challenge South Africa is presented with… but retailers came in mass and so did the press channel (and we will need to work to change this if South Africa is to have greater success). The classes were a huge hit! I have never had a program where every class sold out (Four sold out programs yesterday) so this would be the approach I would continue to explore if I was South Africa… and Jim Clarke gets huge applause as the right guy… on time, tempo… his presentations had great impact and will play an important roll in the future growth. The fact is that South Africa makes GREAT WINE. I start with a quick look at the amazing whites! – Chenin Blanc: One could argue this is the best dry Chenin in the world. The old vine & high-tier designations are spectacular… while the volume wines represent great values. Christopher Lavin entertained the VIPs with an array of wines from Audi Bodenhurst and other storied producers that really took my breath away. When you look at the top wines – you’re looking at wines that sell between $25-$50 a bottle… for the best of the best…a fraction of the cost for similar effort from California…. I know because I make one! They are selling great wine in California at the cost I incur just to make a great wine in California! and that is the key to the difference in price!!! – Sauvignon Blanc: Distinctively different – robust, punctuated, intense, bold and driven – a style I greatly prefer over other island locations to the south (no names) that are sweet and lack finesse. Cape Classics and The Sorting Table whom I always turn to for an authentic impression showed off a number of my favorites… Neil Ellis Wines, Linton Park Wines just to name a few. – Chardonnay – true varietal character with high end marks, and sits perfectly between the acid and stone styles of Burgundy and the ripe and rich California cream. Boschendal Wijnen, Babylonstoren, Meerlust Wine all have similar styles and efforts of merit. – White Blends – David Shaw turned me onto a unique kitchen sink blend with Chenin, SB, Chard, Viura (Macabeo)…. it was my white of the day (David what was that called)? – GSM – MSG – SGM – the Rhône blends are more rhoney that some of the Rhônes themselves today… beautiful and balanced with terroir and finesse. Mullineux Wines – Absolutely stole the show! with blends from The Chocolate Block igniting conversation with a sensational blend. – Pinotage – Last but NOT least – you may have written off Pinotage but last night it was “”””all the rage””” – there is some new energy in this category and even the classic brands are making vastly improved wines that thrill!!! Kanonkop Wine Estate – absolutely knocked people out! – Beaumont Family Wines – Deetlefs Wine Estate – Diemersfontein Wine Estate – Simonsig – the wines are marked, detailed, intense, and wild… and I think Pinotage has new life!!! OTHERS: Pinot Noir – Sparking wines – Rose – white blends – red blends – it is a very safe bet that South Africa will astonish you at comparable dollars…. to your ordinary wine… so give it a shot! I will be increasing my South African intact and hope they will come back next year for another effort…. we have much work to do to get the word out…. one day will not be enough but we definitely take on this project with great enthusiasm… and hope to build momentum. I want to thank iHeartRadio radio Diva Lisa Foxx for her support – and Michael Moloney for bringing all his great friends. Michael Moloney is a major influencer and his show Extreme Makeover Home Edition is one of our favorites! wineLA is about enhancing the wine culture of Los Angeles. To do so, wine must be in rhythm with fashion, music, food and other beverages. It must take advantage of the geography, the architecture and the centers of interest. Los Angeles is a giant playground with an amazing array of venues, spaces, wine bars, restaurants, beaches, roof tops, gardens, and magical views. We want to be a part of the LA lifestyle, the wine lifestyle, and celebrate the people, the place and the passion. wineLA will promote significant events, occasional classes, and tastings of merit. 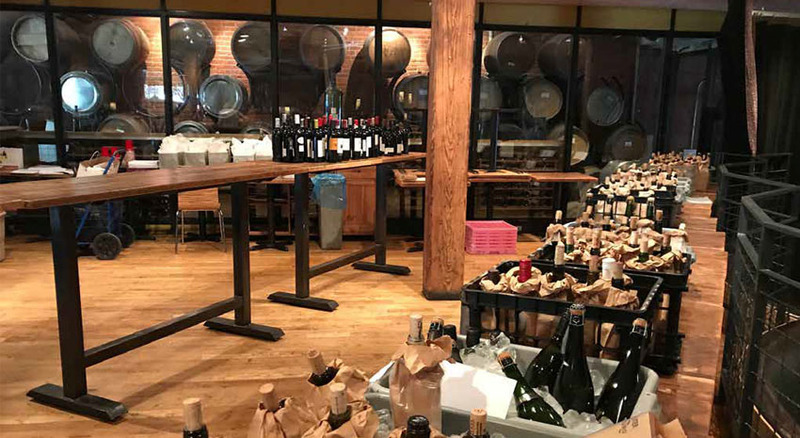 This is phase two of what we started 20 years ago at LearnAboutWine.com – America’s first wine education website and first in wine event creation. LearnAboutWine will now evolve onto a digital platform; the transformation will take some time; so we will slowly rebrand our event efforts onto wineLA, reduce the number of activities we focus on, and elevate our efforts to focus on the next big thing… Doing what is best for the wine industry and the communities we serve. Edicts: innovate, evolve and excite. It’s been awhile since I‘ve done one of my one-bottle posts. 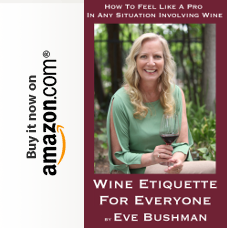 This time I was motivated as rating this wine tied into the new Eve’s Wine 101 Consulting venture I’ve created with my business partner Michael Perlis, and another winery, a new winery we happened to be working with. 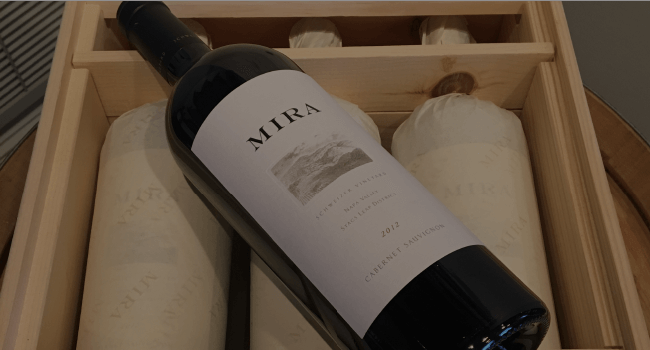 At the same time that I received an email from Mira Winery (www.MiraNapa.com) offering me a bottle of their Napa Cab before its release so I could do a review – I was working with a winery client on getting their website and social networks all up to speed before their first wine is launched. I forwarded Mira’s email to my winery client. I explained that here was a winery that wanted some reviews of their wine on the internet before the wine was released to the public. Why? Because when you Google the winery you will find reviews other places than the winery’s own website. And, the public might find the reviews – especially if the writer also social networks them like we do – and so the branding is magically being built. Lets see if the plan worked. On outward observation alone the 2010 Napa Valley Mira Cabernet Sauvignon had one of those deep punts at the bottom that I like, a classy no-nonsense label and 14.5% alcohol. Once poured I noted that the color was dark purple and very opaque. From an inch away I could smell the robust plums, then I went in a little closer and got blackberry, Fig Newtons, black licorice, cracked black pepper, black olives, smoke and suede. Plum, black cherry, blackberry jam, dark chocolate, espresso beans, slightly minty and all with a nice tannin structure holding it together. Very long finish. Thought this will go will with roasted meat, steaks, pasta, grilled sausages. It might be tough to have without food for people that prefer more berry fruit. I happen to like tannic wines, with or without food. If I had to score this wine, and I’m against scoring but most peeps just want a number, I’d give it a 90. We at Mira Winery are excited to soon be releasing our 2010 Cabernet Sauvignon to the public! However, before we do we want to invite you to sample this luscious blend of 91% Cabernet Sauvignon, 5% Cabernet Franc, 4% Syrah to see what you think and hopefully share your opinion! Of course it’s 100% Napa Valley. As with our entire portfolio of wines, our 2010 Cabernet Sauvignon is crafted by our Winemaker Gustavo Gonzalez who was the head red winemaker for Robert Mondavi before leaving to lead Mira. Over a 20 year career he has worked with some of the most acclaimed winemakers around the world and is one of the few to produce 100 point rated wine. You can learn more about Mira at www.miranapa.com. Yardley, Pa. (PRWEB) August 2017 – Global Traveler, the only AAM-audited magazine for luxury business and leisure travelers, releases the results of its 13th annual Wines on the Wing Airline Wine Competition. The competition, held June 8, took place at City Winery in New York City. Expert judges participated in the blind tasting of 32 airlines’ white, red and sparkling wines. The judges hailed from a wide range of specialties, including sommeliers, wine shop owners and winemakers. In total, 28 Champagnes/sparkling wines, 56 white wines and 61 red wines were tasted. Airlines are required to submit five different wines — two red wines, two white wines and one sparkling wine/Champagne — to be eligible for the overall Best International Business Class Wines on the Wing award or the Best International First Class Wines on the Wing award. For the first time in 2017, Global Traveler awarded gold, silver and bronze awards in each category. 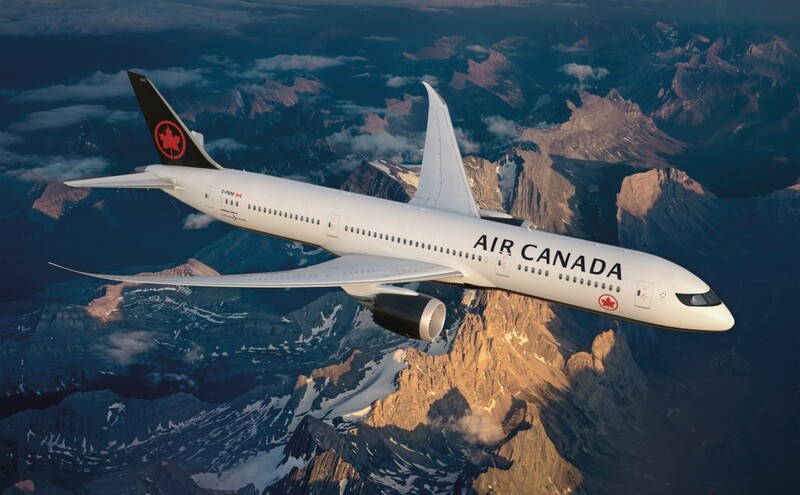 This year, the overall winner for Best International Business Class Wines on the Wing was Air Canada, and the winner for Best International First Class Wines on the Wing was Asiana Airlines. In the white wine category, Best International Business Class White Wine was tied for Jurtschitsch Grüner Veltliner 2016, Austria, submitted by Air Canada, and Steininger Grüner Veltliner 2015, Austria, submitted by Brussels Airlines. For first class, the winner was EL AL Israel Airlines with Vitkin Winery Grenache Blanc 2015, Israel. The best business-class Champagne was Aeroflot’s Ayala Brut Majeur, NV. The best first-class Champagne was United Airlines’ Joseph Perrier Brut Cuvée Royale 2004. TAP Portugal’s Luis Pato Blanc de Blancs, NV, won Best International Business Class Sparkling Wine. When it came to red wine, Asiana Airlines reigned supreme in the first-class category with Gran Claustro 2011, Spain, and All Nippon Airways took the No. 1 business-class spot with Drumheller Cabernet Sauvignon 2015, Washington. For the ninth consecutive year, Global Traveler awarded the Best North American Wines on the Wing. North American airlines submitted first-class and business-class wine samples, depending on their domestic flight offerings. American Airlines was named Best North American First Class/Business Class Wines on the Wing, and also won for its red wine, La Ferme du Côtes du Rhône 2014, France, and its white wine, Domaine de la Chaise Sauvignon 2016, France. Hawaiian Airlines’ Flor Prosecco, NV, Italy, won Best North American Champagne/Sparkling Wine. For the seventh year, Global Traveler awarded the Best Alliance Wines on the Wing. The participating airlines were divided by their airline alliance. The overall points for each airline were tallied and averaged to determine the alliance with the highest total. Congratulations to oneworld, represented by airberlin, American Airlines and British Airways. For more information on the competition, check out the August 2017 issue of Global Traveler or visit globaltravelerusa.com. Global Traveler’s website, globaltravelerusa.com, which unveiled a new design in late 2016, offers unique daily content catering to the lifestyle and travel interests of our audience of premium travelers. Other digital offerings include eFlyer USA (20,000 double-opt-in subscribers); eFlyer Asia (4,000 Asia-based, double-opt-in subscribers); custom e-newsletters; sponsored content; Publisher’s Picks, GT on the Go and Premium eDeal e-newsletters; and a weekly On the Road with Global Traveler slideshow. More than 80,000 visitors monthly rely on globaltravelerusa.com as their travel resource. FXExpress Publications, Inc., based in Yardley, Pa., is a privately held company publishing Global Traveler, eFlyer USA, eFlyer Asia, Trazee Travel, WhereverFamily and several annuals; and also operating globaltravelerusa.com, globaltravelerusa.com/blog, trazeetravel.com and whereverfamily.com. Five full days plus dinner with your guide on the evening of your arrival day – October 9th to October 14th, Cost: 2,775 euros per person – maximum 6 guests. This is a wine tour in Burgundy that’s like no other. It will be limited to just six people and for five full days and two evenings you’ll not only be totally spoiled but will enjoy an introduction to stunning Burgundy in a unique and fabulous way. 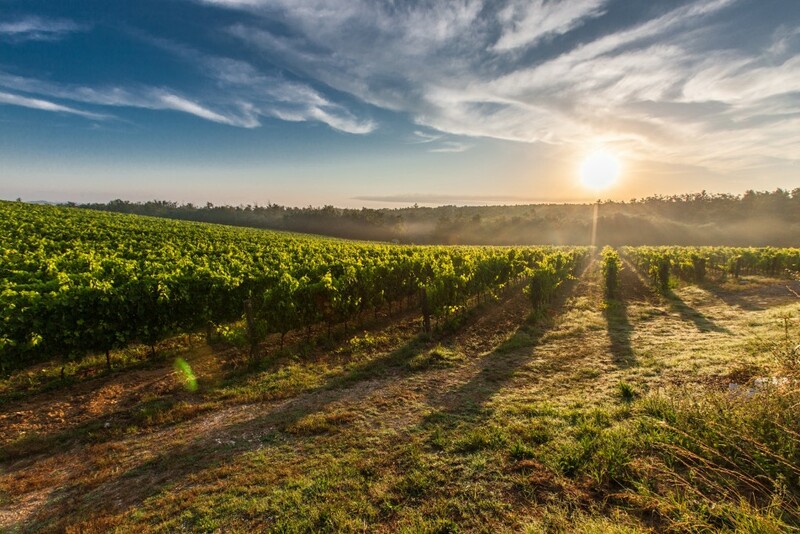 You don’t need to know anything about wine to enjoy this trip which takes in some of the most famous and beautiful vineyards in the world, although if you do, you will already know how amazing the wines of Burgundy can be. The adventure starts in the medieval town of Beaune, the wine capital of Burgundy, home of the famous Hospices de Beaune (Hôtel-Dieu de Beaune) a former charitable almshouse founded in 1443 by Nicolas Rolin, chancellor of Burgundy, as a hospital for the poor. The Hospices de Beaune is one of France’s most prestigious historic monuments. Its flamboyant Gothic architecture, its polychrome roofs and a renowned vineyard make this museum one of Burgundy’s gems. of course you’ll be visiting this with a private guide and tasting some of the amazing wines during the course of our cellar visits during the week. Each day on the trip you’ll be visiting different domains – some of them opening their doors especially for you. You’ll enjoy some of the very best wines and gourmet food in the most beautiful parts of Burgundy . Discover then the authentic Heart of Burgundy on my fun and informative wine and food tour in the beautiful Côte d’Or (the golden slopes) of Burgundy. In my 12th season of tours, I am very passionate and proud of this historic and diverse wine region which led me to create a special signature tour to share the treasures of Burgundy’s ‘terroir’ from carefully selected cellars to delicious cheeses, regional specialities and a whole lot more, with you. Arrival Day: (Evening) – Meet with your guide for the week at 19h30 at your hotel in Beaune for a welcome dinner at a beautiful 1* Michelin restaurant in the heart of Beaune. Today you will meet, talk and taste with some welcoming winemakers in their delightful cellars in these picturesque villages. Tasting both pinot noir and chardonnay from different producers, the highlight of the day is our leisurely tasting lunch, pairing excellent wines with a four course lunch at a chateau estate in the village of Mercurey. Learn to cook traditional Burgundian fare with our French chef in his renovated family home in a famous wine village (or if you prefer, modern French cuisine with a Burgundian twist in a professional kitchen (exclusive to our clients) inclusive of aperitifs and a three course lunch. Morning cooking session followed by a delicious lunch with wine and after lunch touring the famous vineyards & villages of the Cote de Nuits, stopping for an excellent cellar visit in one of the renowned wine villages, tasting from village to grand cru wines and including a walk through the vineyards to the famous cross of Romanee Conti. 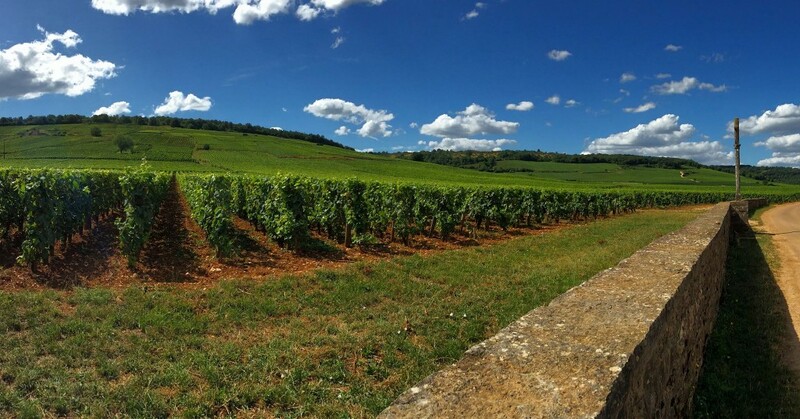 The vineyard of Romanee Conti produces the most expensive wine in the world! You will also be able to experience a visit to the Chateau de Clos Vougeot built be cistercian monks before the french revolution. Today it’s the turn of the Cote de Beaune famed for its magnificent chardonnays (amongst the best in the world) & lighter red pinots. First stop in Meursault tasting some lovely reds and whites from both barrel and bottles followed by a tour of the famed grand cru vineyards of Meursault, Puligny Montrachet & Chassagne Montrachet amongst others. After a delicious typically Burgundian lunch in Volnay (on the terrace if fine) we take a break from tasting on a leisurely spectacular drive up into Hautes Cotes where you will be entirely surrounded by vineyards and enjoying some of the finest views in Burgundy. Our final visit of the day is an artisanal chocolate shop where I will show you how well certain wines pair with the right chocolate. First stop is to a family owned cheese venue, where you will enjoy some of the very typical, unpasturised cheeses of Burgundy pairing with both red and white wines. Next is a truffle hunt with a very cute dog and his master in a little forest in the Burgundian countryside set against the backdrop of an wonderful 11th Century chateau. After sampling some of their delicious truffle specialities, we drive to a neighbouring village for a lovely lunch in rustic surroundings. An enjoyable drive through the hills and villages leads us to the vllage of Savigny les Beaune where you will have your first taste of sparkling wine ‘Cremant de Bourgogne’ – Burgundy’s answer to champagne in wine domaine of several generations. Day 5– Market Day in Beaune. This morning you will have some time on your own meandering around Beaune’s spectacular market, full of colourful vegetables and fruits, delicious cheeses, olives and pates. With all the wonderful shops in Beaune you may wish to fit in some last minute shopping before departure. After lunch (at your own choice – maybe a picnic from your purchases at the market) we will visit the only remaining mustard museum where you will be able to mix your own mustard. The last cellar visit of the week will be in the oldest cellars in Beaune for our private candlelit wine tasting. This evening I invite you to join me for a last night gourmet dinner in a little village on the outskirts of Beaune, enjoying aperitifs on the terrace before dinner. 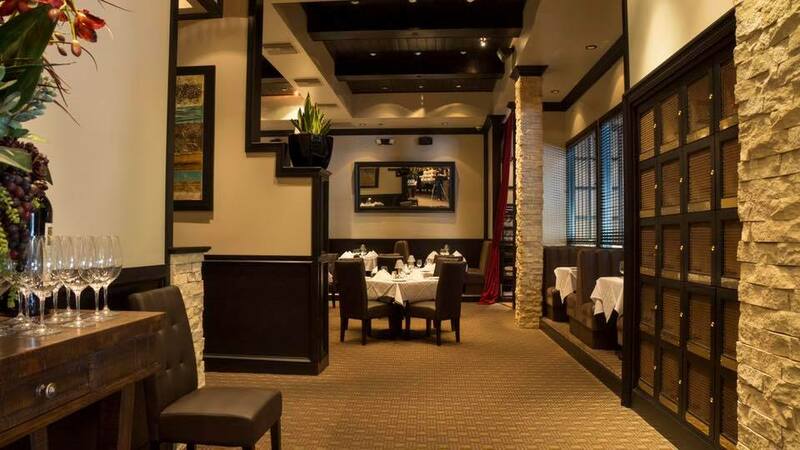 Vintage Eve Circa 1/14: Larsen’s Steakhouse – Finally! The owners of Santa Clarita Valley’s latest and most high-end restaurant, Larsen’s Steakhouse, have been diligently waiting for my review. Right. The truth of the matter is I had been to the bar, like most curious folks, for Happy Hour. But I didn’t really dig it. What’s not to dig? Were the prices fair? Yes. Was the selection wide enough? Yes. Was the Happy Hour menu nice? Yes. Was the service great? NO. I had ordered a red wine by the glass. I sat still as my server poured from the bottle into my wine glass, watching the sediment slip off the inside of the bottle and…into my glass. I waited a second, and she said nothing, and if you can believe this, she darted off before I could. So I waited for her to return to ask for a fresh pour. She never did, not until my husband spotted her a good 15 minutes later, and at that point all I wanted was the check. I was left to wonder, for too long, if she knew the wine shouldn’t have been served like that or just didn’t care. Either way, she needed some training in bar service. I returned again, this time sticking to a can’t-be-botched-unless-the-shaker-was-used-for-a-sweet-drink-and-not-washed-properly-afterwards vodka Martini. I had the Kobe beef sliders as well. Both were fine. The service was nothing to write about, and neither was the experience. Now, full disclosure: I’m a cheapskate and rarely seek out dining options where I have to order everything separately, like sides. I was raised by a single mom, and have never learned to spend money unless I feel that it is really worth it. So, when I was invited to dine at Larsen’s it gave me an opportunity to try it – and judge its worth again. Meaning: Would I go back and pay for this? I’m happy to report that the answer was YES! I finally got the service and the food I expected. Our group of 10 was seated in a semi-private room with maybe two other smaller groups. Somewhat in this order: drink orders were taken, the hefty wine list was promptly handed to our host, and menus were placed in front of us. Within moments cocktails and wines were served, appetizers were presented, and our dinner order was taken. I’ve got issues with dairy and my waitress was very knowledgeable about what sauce I might like on my steak and which sides I may enjoy. This time the service reminded me of a grand meal I had with a bunch of Fire Chiefs in New Orleans at Emeril’s, where we each had our own waiter that attended to our needs. We didn’t have that exact personal service at Larsen’s but we did have at least 10 servers when the entrées were served – all at once. Each of the plates, that could have just held a nice cut of steak, also had a large serving or roasted garlic – which was an extra thrill for me and the garlic-loving woman that sat next to me!